The wrist and hand are complex structures responsible for some of the most complicated and important movements that people do throughout the day – there are few activities in which the hand and wrist aren’t essential. Therefore, hand and wrist injuries require prompt diagnosis and effective treatment. The wrist connects the bones of the hand to the forearm. The wrist is a complex of eight small bones. The hand, including the fingers, has 27 bones. The wrist and hand are controlled by a complex set of tendons, ligaments, muscles and nerves. 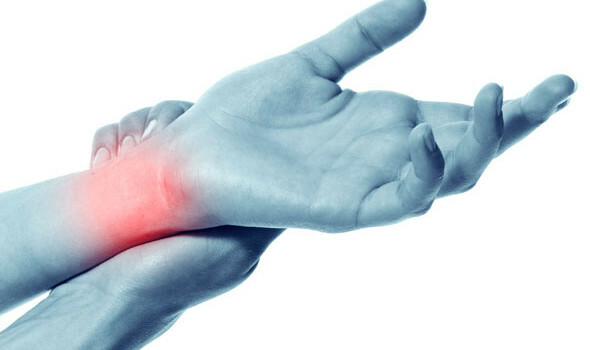 Carpal tunnel syndrome – Common among piano players, typists, and other people who perform repetitive motions with the hand, carpal tunnel syndrome occurs when swelling compresses the median nerve, which runs through the carpal tunnel. Ulnar tunnel syndrome – Ulnar tunnel syndrome occurs when the ulnar nerve is compressed in the wrist, often due to chronic pressure or trauma. This condition is common among cyclists, due to the wrist pressing against the handlebars, as well as people who use a jackhammer at work. 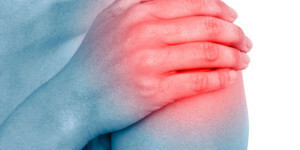 Osteoarthritis – Osteoarthritis refers to degeneration of the joints in the hand, which results in inflammation. One or more joints may be affected. Wrist sprains – Wrist sprains usually occur after sticking out the hand to break a fall, which can cause twisting and trauma. Sprains vary in severity from tiny tears in the ligament to a complete severing of the ligament. 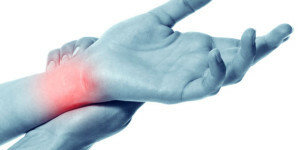 Wrist and hand fractures – One or more of the wrist and hand bones can be broken. This can be a serious threat to the use of the hand. Finger fractures – One or more fingers may be fractured. Again, finger fractures are serious. Nerve damage – After a trauma or fracture to the hand or wrist, nerve damage may occur. This can make it difficult to control the hand, can cause sensations of pain, or may cause numbness in the hand and fingertips. Depending on the nature of the injury, nerve damage in the hand and wrist may or may not be permanent. 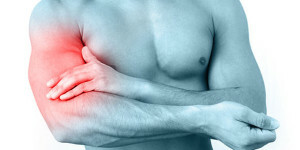 Many injuries can be treated without hand and wrist surgery. For example, wrist sprains respond well to rest, ice, and compression. Conditions like osteoarthritis and carpal tunnel syndrome often respond well to bracing, physical therapy, and lifestyle changes. On the other hand, some wrist and hand conditions cannot respond to conservative methods, or are so severe that immediate treatment is required. Hand and wrist surgery usually involves opening the hand up so that the doctor can align the bones, repair tears or perform other procedures. If a wrist, finger or hand fracture is suspected, it is important to get medical care immediately. Although the bones of the wrist or hand are small, they are precisely arranged. Prompt treatment can ensure that the fractures heal smoothly and full use of the hand and fingers are preserved. If prompt treatment isn’t received, serious complications can occur. Immediate treatment should always be sought for severe pain and for being unable to move the hand. Other conditions develop more slowly over time. If mild to moderate pain occurs persistently over a case of several days, weeks, or months, medical care should be sought. As a leading whole orthopedic care provider, OC Orthopedic specialists consider each patient unique and work with them to understand their special needs and concerns. We treat the whole patient by getting to know them as we gather insights and information to help us select an appropriate course of treatment.